We can help you on your way to a relaxed, restful night – and a happier, healthier life. Our Sleep Center is accredited by the American Academy of Sleep Medicine. 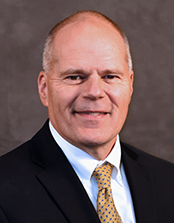 Our staff, led by N. Craig Boss, MD, ABSM, takes a very personal approach to your care and will address every need, question, or concern you may have. 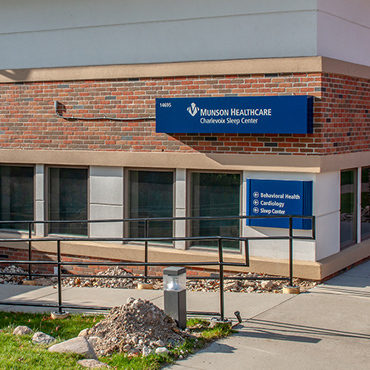 The Sleep Center is located next to Charlevoix Hospital in the lower level of the Charlevoix Surgeons building at 14695 Park Ave. Our entrance is in the back of the building. Two comfortable hotel-like rooms with queen beds and private bathrooms with showers are available for daytime or nighttime sleep studies. A bedtime snack and a light breakfast are available. Registered sleep technologists are on duty at all times to monitor your sleep patterns. Studies can be conducted during the day or night. While you sleep, brain wave data will be recorded to provide an accurate picture of your stages of sleep. A video recording will show any physical activity that might indicate a movement disorder. If a sleep breathing disorder is identified, technologists may introduce therapy as part of the study. Technologists will invite you to see the data they recorded. Dr. Boss will review each page of every study before your follow-up appointment. He will recommend the very best course of treatment – with good nights and sweet dreams to follow. Children age three and older can be evaluated for a sleep disorder. A parent stays in the sleep room with the child throughout the study. Office and consultation hours: Monday - Thursday, 8:30 am - 4:30 pm. Sleep Center studies can be conducted during the day or night.